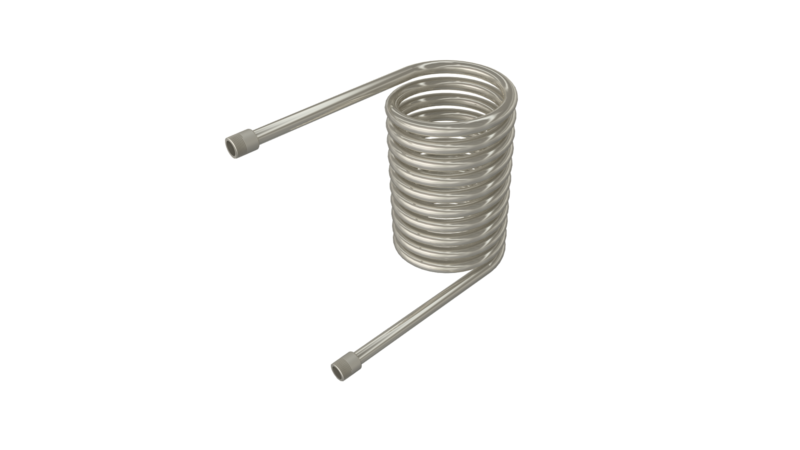 Available for in tank heating and cooling applications to be used in conjunction with a boiler or chiller system for aqueous solutions. Can be used with steam/water pressures up to 100PSI. Available in 20 Gauge Steel, T316 S/S and Titanium. Horizontal and vertical design. Standard 1.0" NPT connections, 1.0" diameter tubing, 2.0" headers.Special length and "L" shaped configurations available for bottom exchange applications. 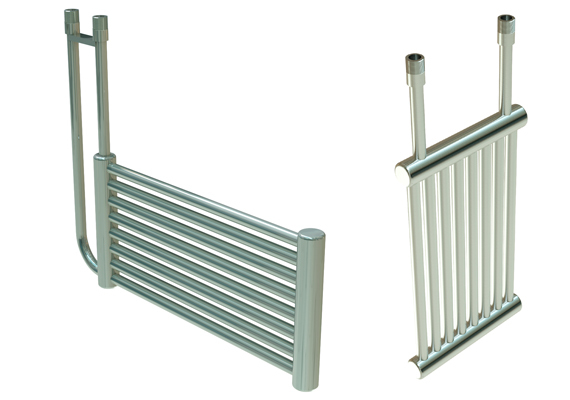 Riser tube length extensions, exchanger hangers, sizes up 90 sq. ft. and 720,000 BTU sizes and water connections available. For smaller applications requiring less heat transfer area, or applications with less space, Delta’s Helical Immersion coils are a great fit. Available in Titanium, these will withstand the toughest aquatic environments.